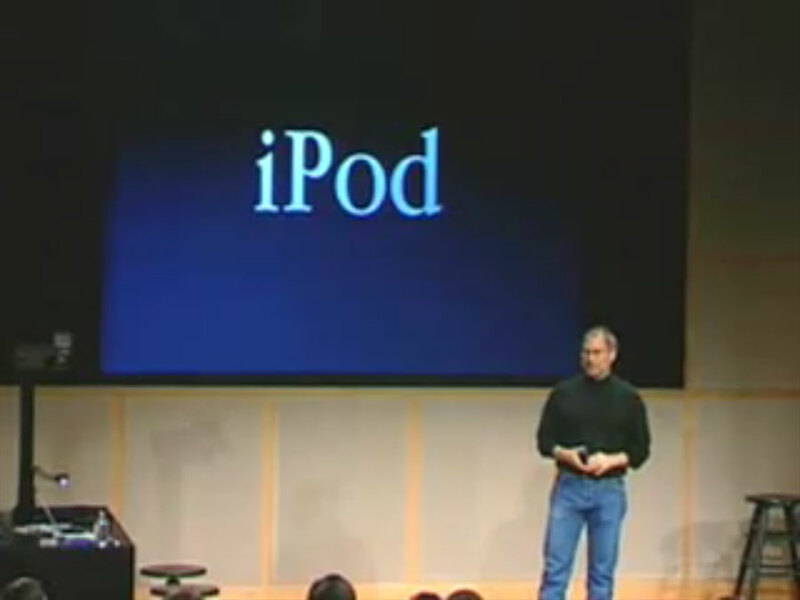 Using the slogan, “1000 Songs in Your Pocket,” Steve Jobs introduces the original iPod, featuring a 5 GB hard drive, Firewire connectivity, and synchronization to iTunes. By using a 1.8″ drive, the iPod was significantly smaller than competing MP3 players of the time. The Firewire port allowed simultaneous charging and high-speed music synchronization, innovative for its time. At the time, the original iPod only worked with Macintosh computers. However, the popularity of the iPod among Windows users – who had to hack together a solution to use it with their computers – prompted Apple to release a Windows compatible version in the second generation of iPods. With the introduction of the iTunes Music Store in June of 2003, the runaway success of the iPod completely changed the landscape of the music and computer industry.